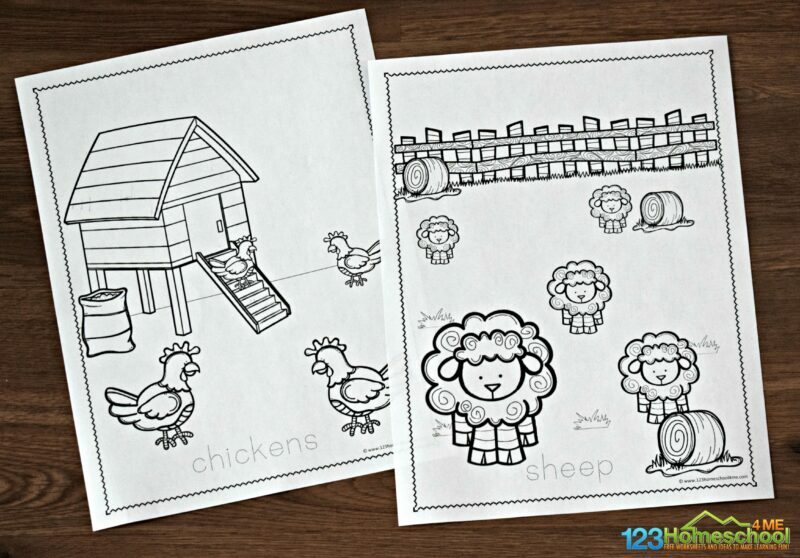 Kids will love these adorable, free farm coloring pages! 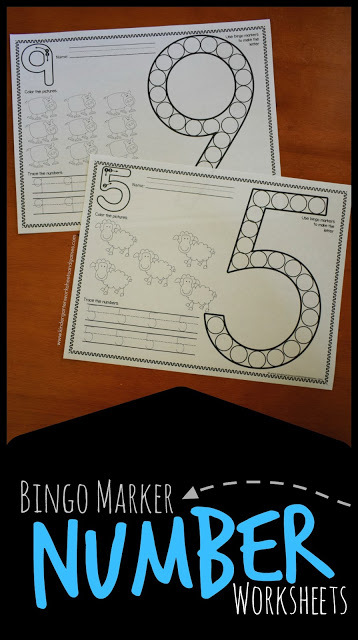 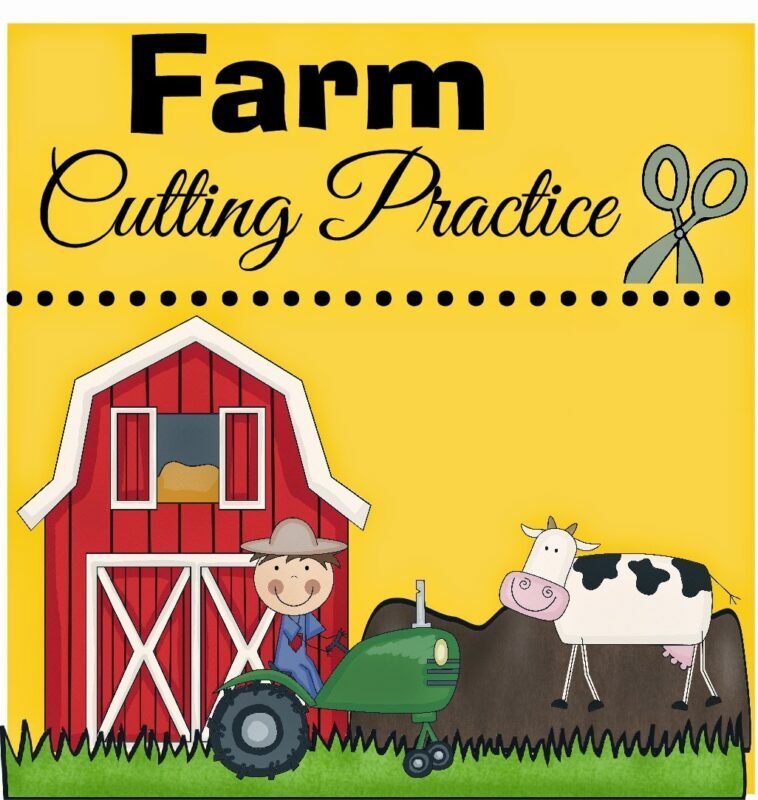 These are the perfect NO PREP farm worksheets for toddler, preschool, kindergarten, and first grade kids. 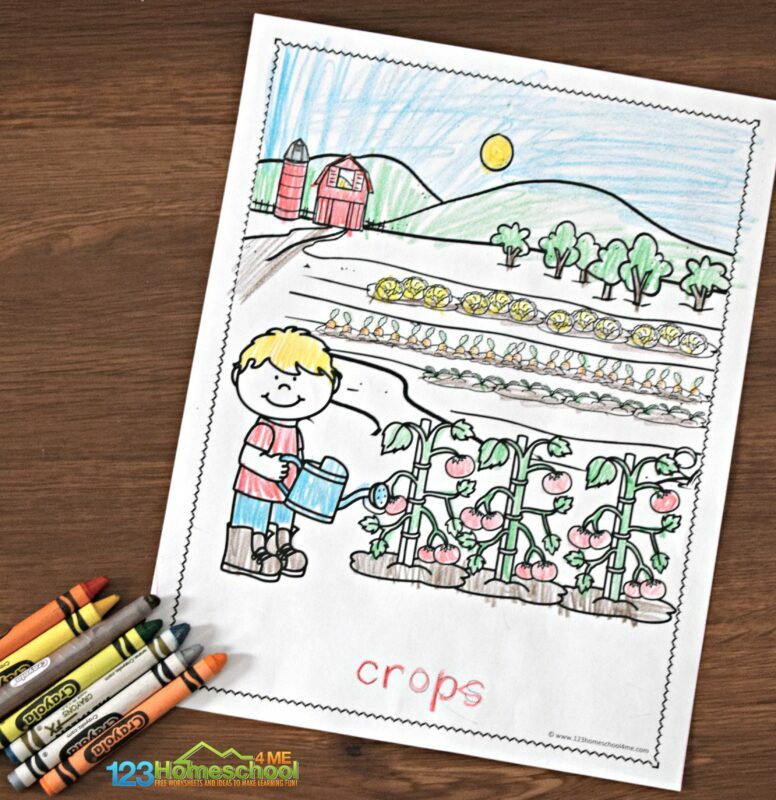 Whether you are looking for a NO PREP activity for a rainy day, an addition to your farm unit, or just a fun free coloring sheet, kids will love these farm coloring pages. 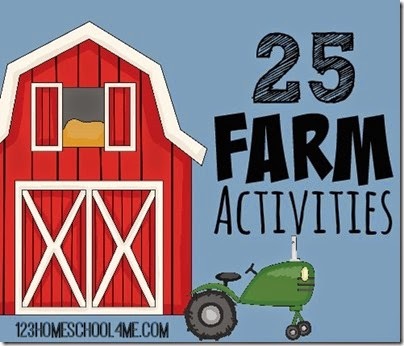 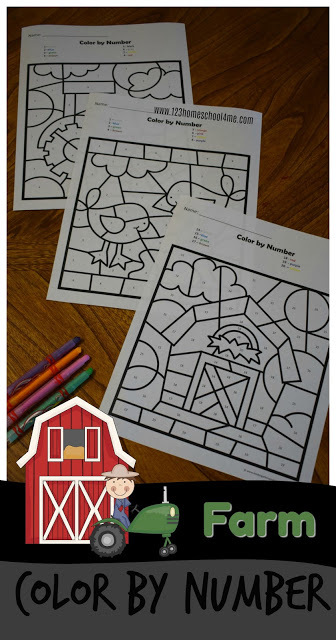 There are 9 different farm themed coloring pages to choose fun. 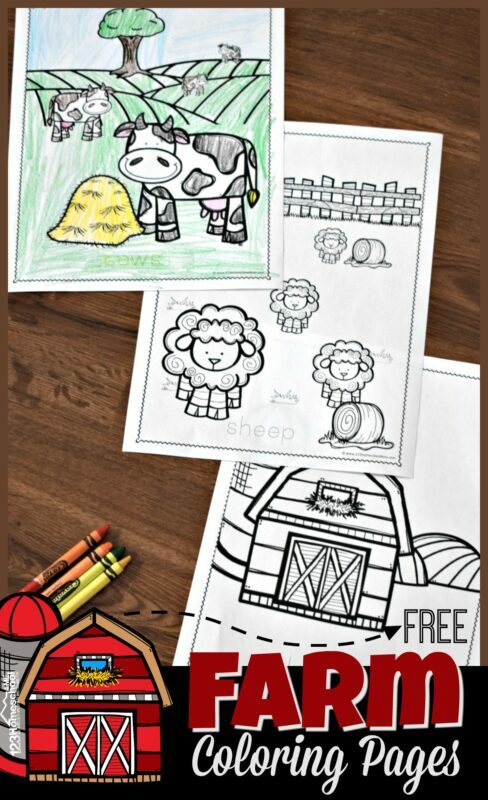 Just pick whichever of the farm animal coloring pages you want to color. 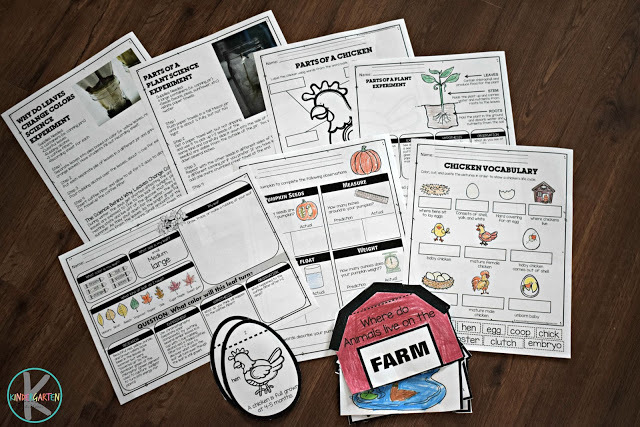 These farm animals coloring printables are perfect for anytime! 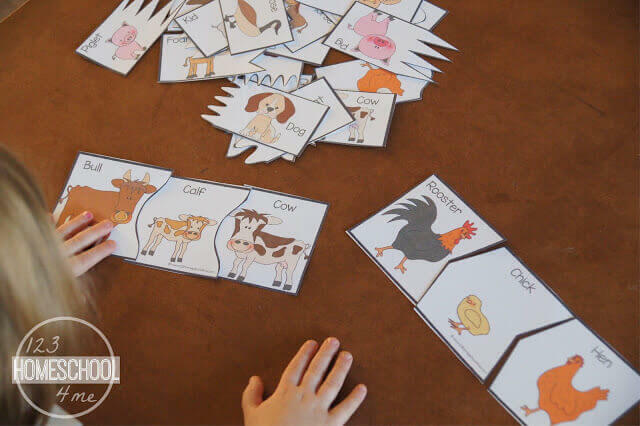 Toddler, preschool, kindergarten and first grade kids will love learning terms, strengthening fine motor skills, or adding this to any farm unit.